This is a great quote by William Penn, an English real estate entrepreneur, philosopher, Quaker, and founder of the Province of Pennsylvania. 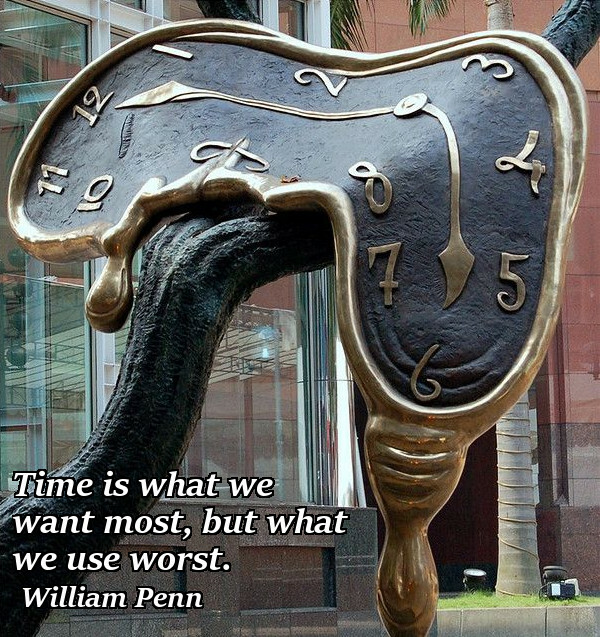 William Penn was a man of many attributes and accomplished a lot in his life so it is quite remarkable that a man that did so much with his time would still have the understanding to come up with this quote. Perhaps he worked so hard and use his time properly because he understood that time can too often be wasted!